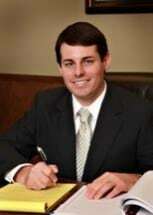 Philip R. Potter is a partner in the firm who works primarily in the area of personal injury. He enjoys providing clients with personalized attention by drawing on his previous experiences as an educator and police officer. A native of Warner Robins, Philip holds degrees from Valdosta State University, the University of Georgia, and Mercer University. While attending law school at Mercer University’s Walter F. George School of Law, Philip served on the Advocacy Counsel and competed in moot court and mock trial competitions. In addition to a juris doctor degree, while at Mercer Law Philip earned a certificate in Advanced Legal Research and Writing. When not practicing law, Philip enjoys hunting, fishing, reading, and traveling with his wife, Meredith, and their two children.